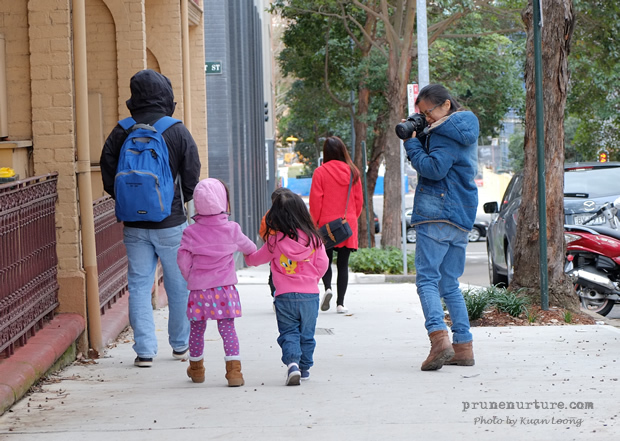 We left our hotel for Paddy’s Markets to look for a suitable place for breakfast at about 8.30am. It was an easy and comfortable walk. If we have such weather in Singapore, it would be perfect. 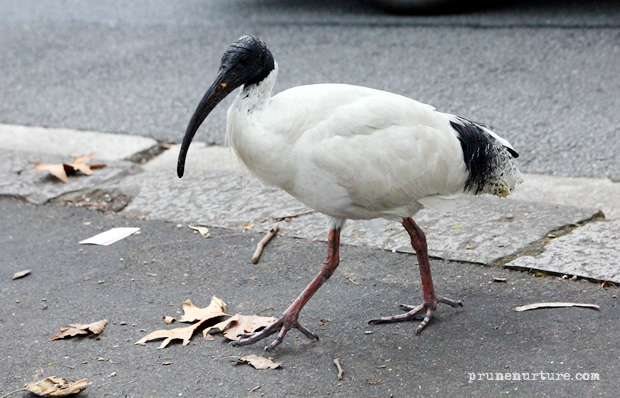 This strange bird is quite common in Sydney city. We first saw them near where we stayed in the city and also at Featherdale Wildlife Park. Anyone knows the name of this bird? I enjoy taking pictures of the children. They are so expressive and most of the time happiness is written all over their faces. We discovered that a lot of the restaurants are not opened on Sunday morning or maybe they do not open that early. 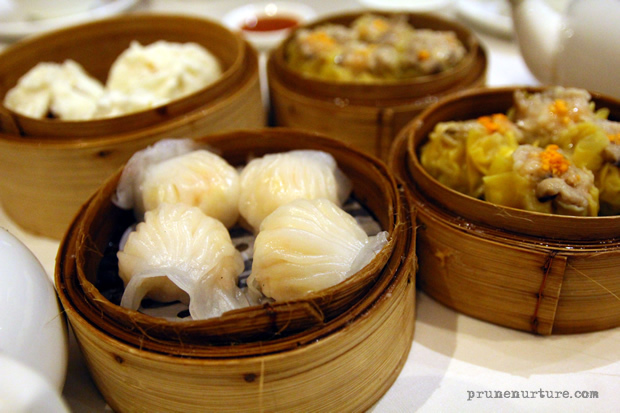 Thankfully, we managed to find a chinese restaurant that serves dim sum and we decided to try the food there. 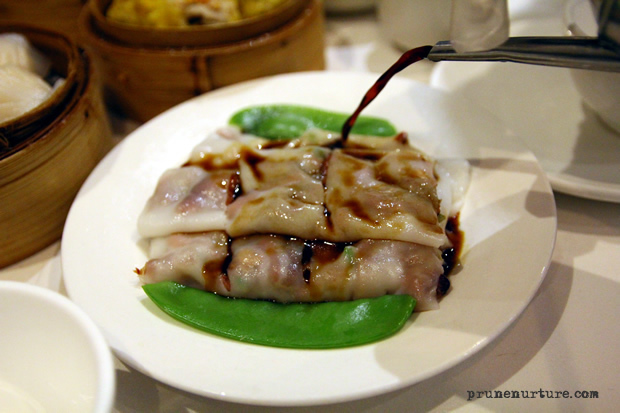 The food is good but rather pricey. 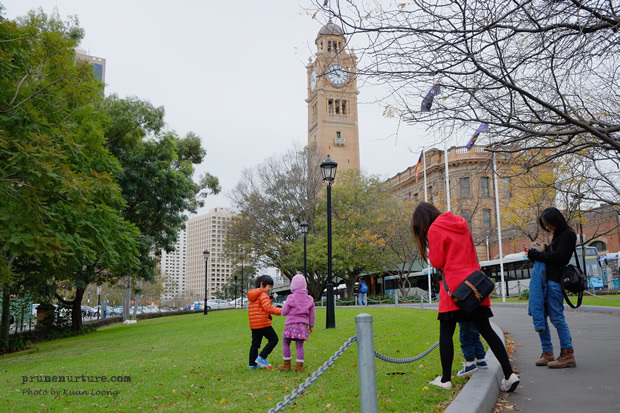 After our breakfast, we walked towards the Central station to purchase our Family Funday Sunday tickets, where we could enjoy unlimited travel on all trains, buses, ferries and light rail in Greater Sydney at only A$2.50 per person. 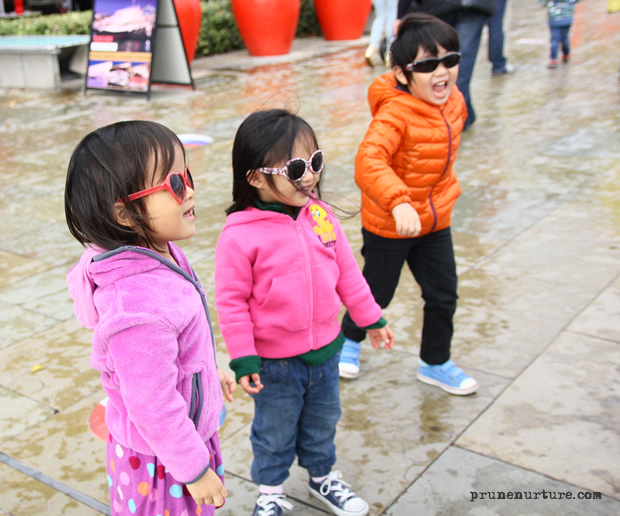 Children under four travel for free. 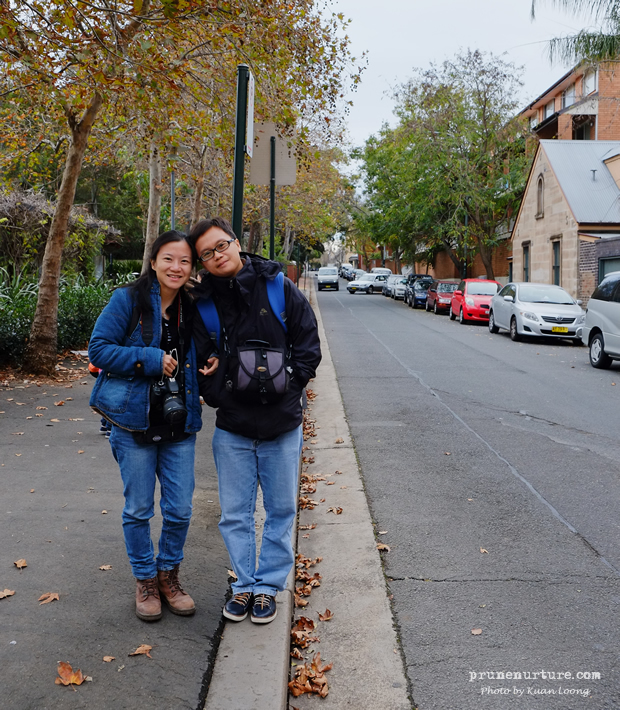 It took us a while to figure out how to use Sydney public transport. 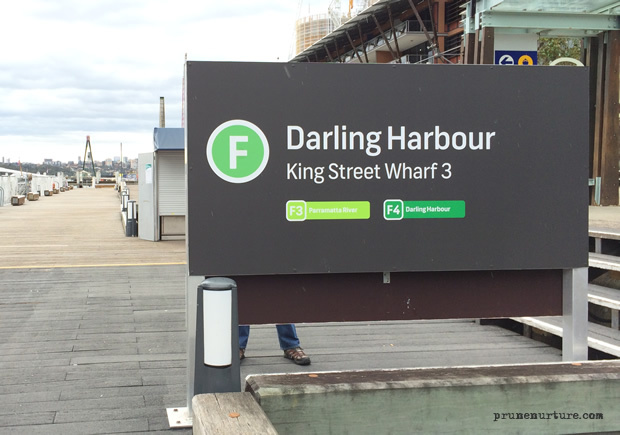 We took a train to Circular quay (network map) to catch a ferry to Darling Harbour. 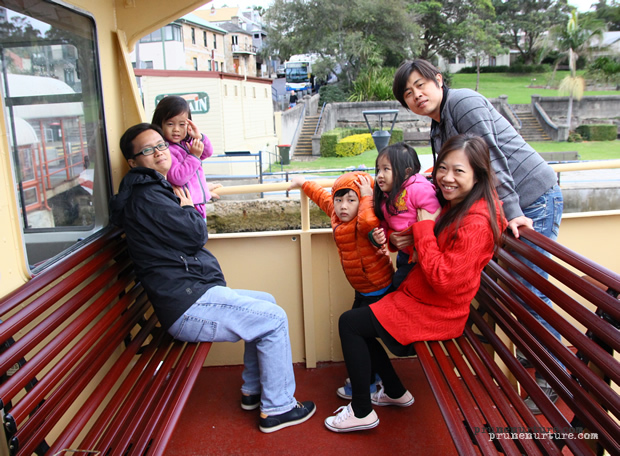 We had a good tour around Sydney harbour. 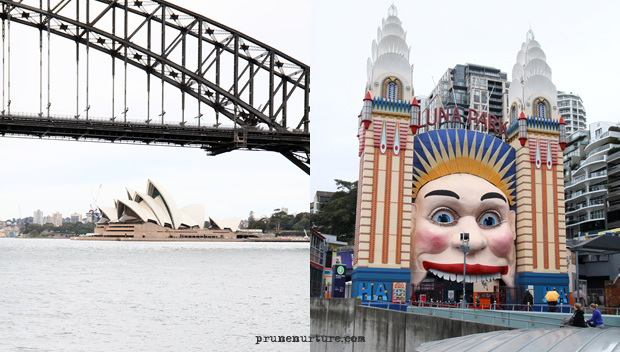 We also passed by Sydney’s Opera House, Luna Park and so on. It’s a beautiful harbour lined with many cafés and restaurants. 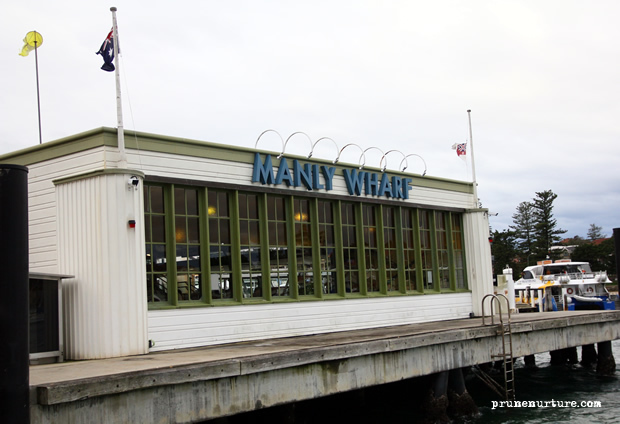 The Australian National Maritime Museum, Sydney Fish Market, Madame Trussard are also nearby. 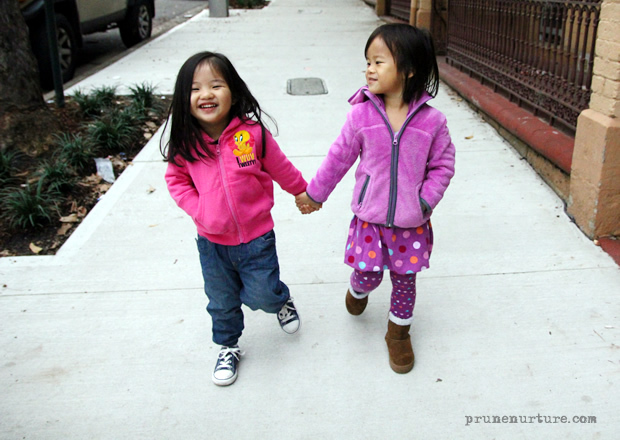 I was very amused by these two little girls. 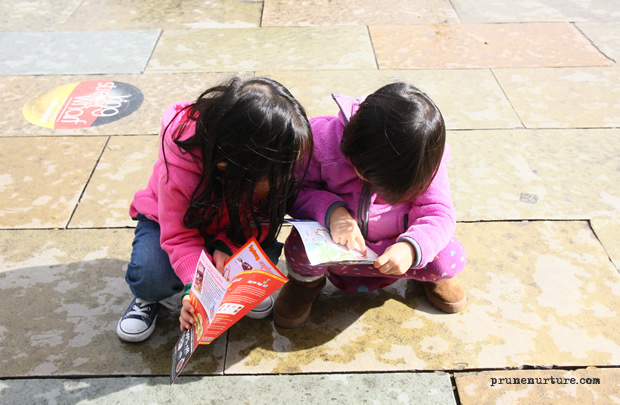 They were studying the map and trying to figure out where they were and where they were going. 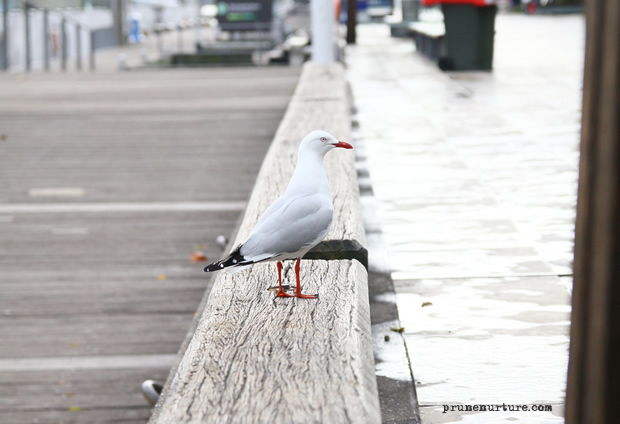 The seagull looks so demure but it can be a nuisance when we were having our meals at the Sydney’s Fish Market. 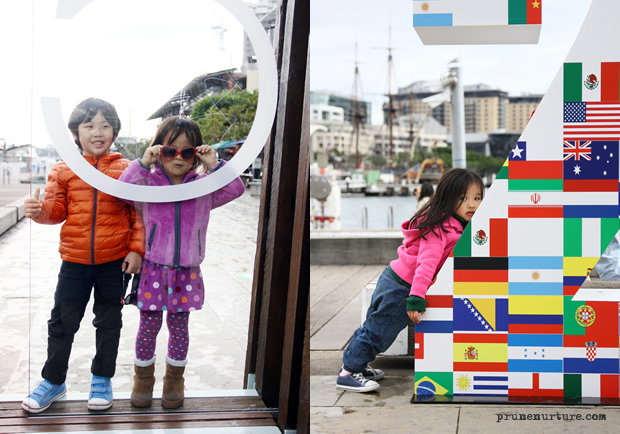 Playground is everywhere for the children. 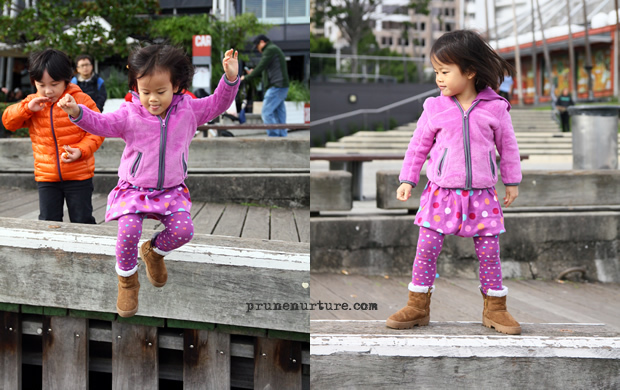 They had so much fun just running and jumping around. 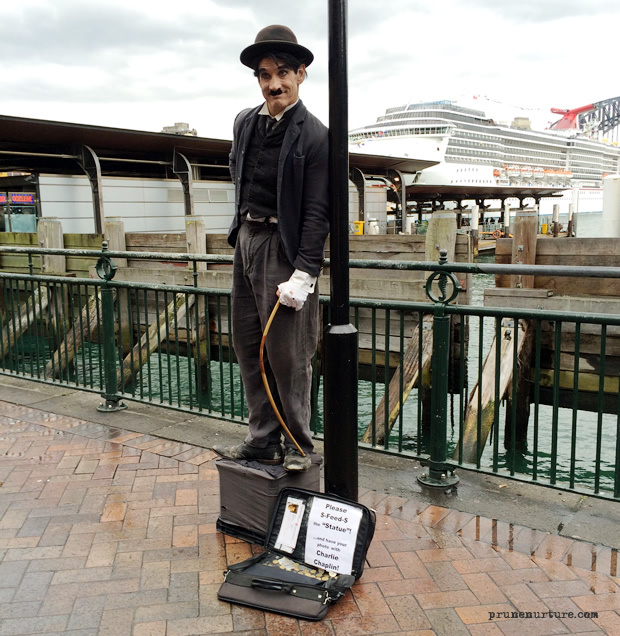 When we were back to the Circular Quay, we saw “Charlie Chaplin”. 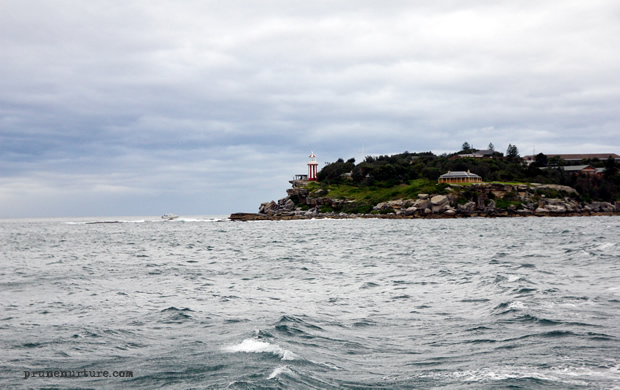 We decided to catch another ferry to Manly beach. We had some drinks and fruits at the cafe before we walked to the beach nearby. 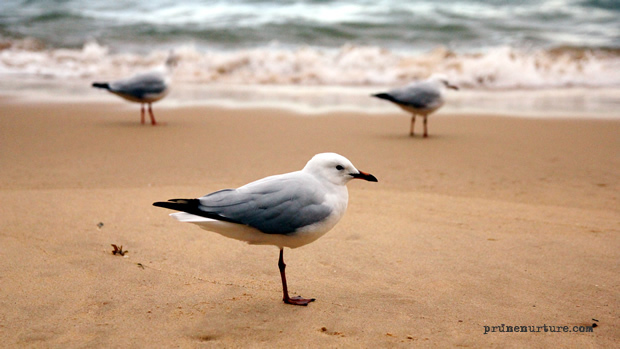 While the children were played sand at the beach, I was intrigued by this seagull resting with only one of its legs. It was quite chilly in the late afternoon and we only stayed at the beach for less than an hour. 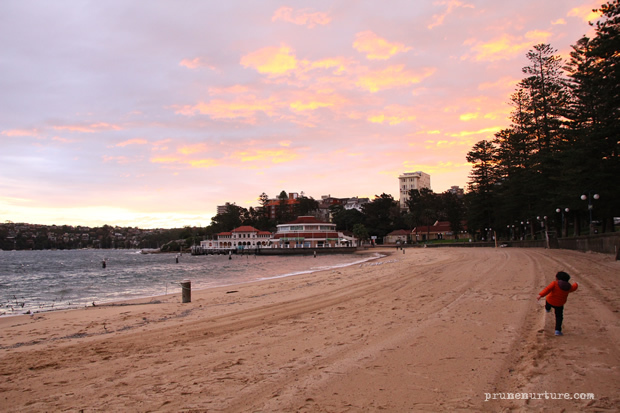 We lingered around at Manly, had our dinner at a Thai restaurant there before we departed from there.